In my question I know I can enter data and steps only in the database, if I like. My question is if I do, what are these libraries doing that I can't do by querying the database without them? BI am not understanding why I would need something other than the database to hold the steps and my current location in the steps. If I need to engineer my system, why use these libraries? Please note, I am not asking if I need a workflow, only which design choice I should make and why. I don't see why I need this instead of querying the database? Sooner or later I have to hit the database, as even these libraries have persistence libraries. Should I use a workflow engine? Is there such a thing as a workflow pattern? or how to do a workflow properly? More than likely I'd be using C# if that matters, ASP.NET Core. But I don't think it matters for this question. In my comments I mentioned SQL. I was not trying to imply one use SQL and nothing else. It was in the context of a programming language. You could use EF with Linq. It doesn't matter. My point was I could query the state in the database, so why the special state machines and workflows. Sorry for confusion. The real benefit of a 'workflow' is the declarative modelling of control flow. In your example, an absence request might go through branching logic, leading to different outcomes. A workflow chains together the logical steps. 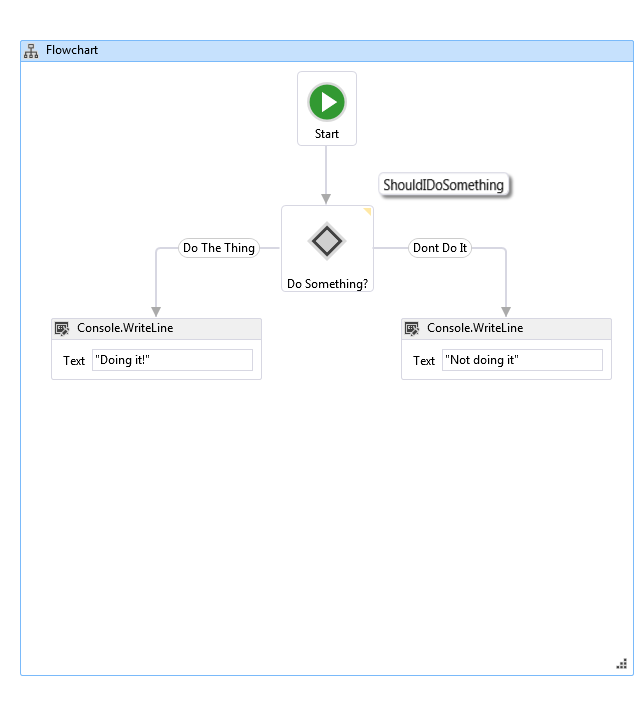 'Workflow Applications', from .NET, are another alternative for visualizing a workflow. (It includes state machines as well as flowcharts.) Although the .NET Core port is still a work-in-progress. With that said, sure, you can chain a process together however you'd like. A pure SQL approach might be rough, but you could probably even work out something clever with T-SQL 'triggers'. What these libraries have in common is a top-level, easily readable configuration of the process. A good workflow can be shared with non-technical business partners. Instead of just coding to a given specification, the workflow itself is the spec. SQL on its own, is not a touring complete language. You can certainly implement a workflow engine entirely within most modern databases (T-SQL, PL/SQL, etc), but you wind up with a user interface that's only useful to folks who can read and understand those languages, plus the tooling is not designed to support your application, it's designed to interact with the database. Some of the existing work-flow engines also have an ecosystem of supporting code, including customer facing UI's and web friendly (as-in REST-full) API's. If you roll your own, your customers will demand that you also forge those other elements. Not the answer you're looking for? Browse other questions tagged design workflows finite-state-machine or ask your own question. How can I use Windows Workflow for validation of a Silverlight application?